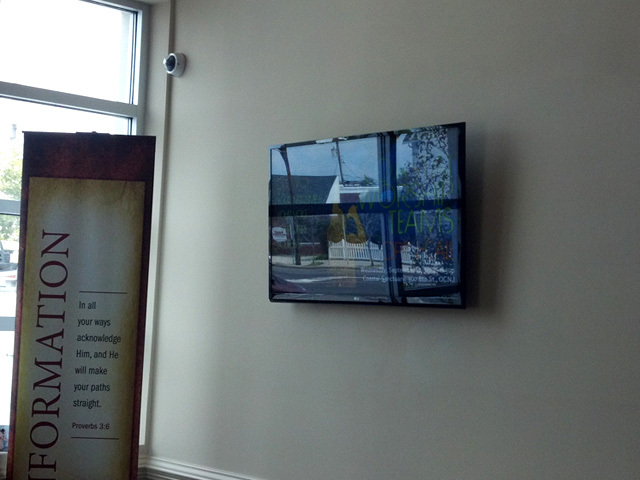 A local community church in New Jersey decided to replace its old bulletin board with a new 50 inch LG LCD TV and use a Power Point program to inform the congregation about events and church programs. They picked out a nice spot and mounted the TV on the wall. What they did not realize was that this spot near a window, at certain times of day, had harsh sun glare on the screen which made the image wash out and be unreadable. 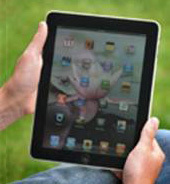 NuShield was contacted by the installer to provide a solution. NuShield recommended its Triple A™ screen protector film which has been designed specifically to eliminate this type of glare. The film has an antiglare, anti-fingerprint and antibacterial coating and an easy to apply tacky rubberized backing. The film has a matte finish and can be cleaned easily with commercial cleaners. 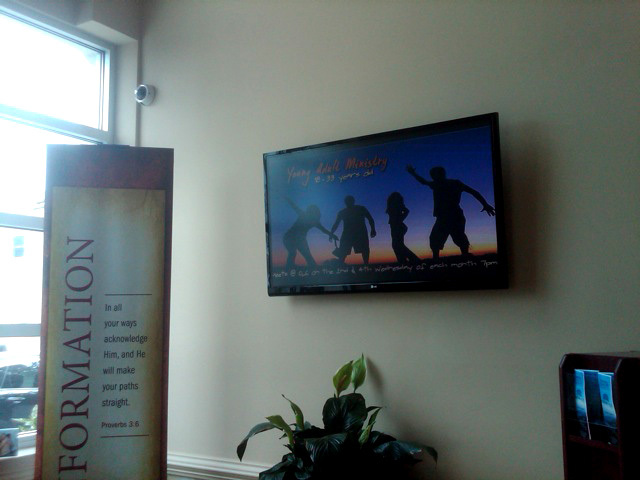 The screen protector was installed in time to have the new TV up and running for Sunday service. Once the film was placed on the TV screen most of the glare disappeared. Worshippers could easily see the information on the screen from inside. One problem still to be solved is being able to see the TV from outside. The sun glare on the building is not allowing visibility inside. 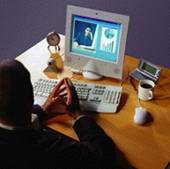 The church has been contemplating the installation of the NuShield DayVue™ anti-reflective film that is currently being used by commercial retail stores and real estate offices. The film cancels sun glare so that shoppers can look in and view the TV set up inside. The film offers an anti-reflective coating and an easy to apply tacky rubberized backing. It can be cleaned easily with comercial cleaning solutions to remove dirt and fingerprints from the surface without harming the film.